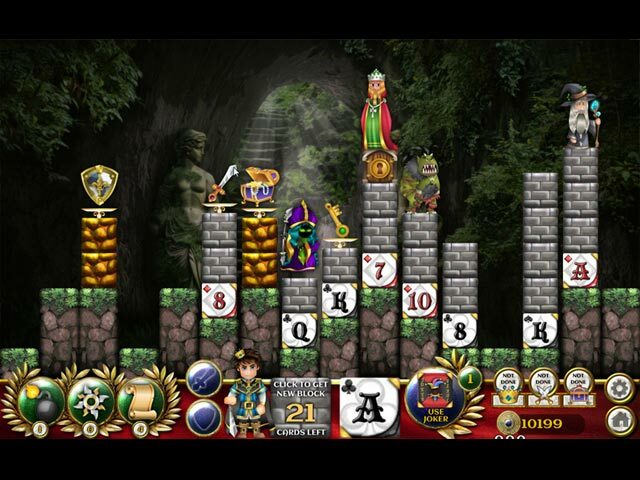 Solitaire Blocks: Royal Rescue game download. 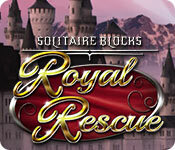 Free download Solitaire Blocks: Royal Rescue for Mac. The crown prince, back home after receiving training in the art of battle and magic finds that there is no one there to welcome him. Inside, the terrified citizens speak of a dark force that imprisoned the royals atop stone columns scattered throughout the land. It’s time for the prince to put his new skills to the ultimate test! 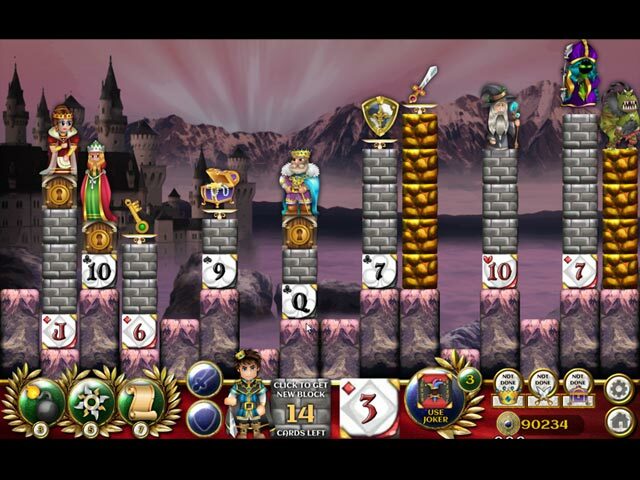 In Solitaire Blocks: Royal Rescue, use your solitaire skills to stack cards in ascending or descending order to clear the blocks above and save the royals stuck on top before your deck is exhausted. You’ll find other helpful items that can assist you on your way. Battle monsters for extra bonuses! Install the ancient relics across the 8 kingdoms to rid your lands of this dark magic forever!